*This game is being featured as a Game Of The Week and will be broadcasted online at WIAANetwork.com. When the game ends it will be archived and available to view within the hour. This is a free servie presented by Play On! Sports. (4A) #7 Issaquah @ (3A) #3 Mount Si 7pm Live from Snoqualmie, WA. I really like both sets of RB’s in this game. Issaquah gets the nod because of the play from Jr Jack Gellatly. 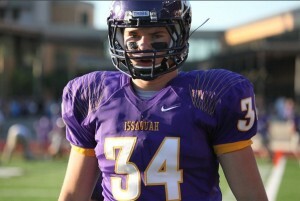 Issaquah Sr FB Tyler Sheehan is a returning 2nd Team All-Kingco preformer and a real bruiser. Joey Cotto from Mount Si is a fine back and a guy I really like going forward. If Issaquah is to win this game they will have to run the ball. Both teams have very good sets of WR’s and TE’s. For Issaquah it is Reed Peterson, Craig Greiwe and Ken Norton III. Mount Si runs with Sr’s Tyler Button, Trent Riley, Jimbo Davis and Hunter Malberg (I will talk about them later). Where Mount Si gets the edge is in Sr TE Griffin McLain (6-5 245). He is a huge target and an above average run blocker. Right now we have Griffin ranked as the #2 TE in Washington. Each team has big physical lines. I like Mount Si because I really like Sr’s Stephen Nnabue (6-1 260, Rugby player), Hank Van Liew (5-11 210, Rugby player) and Mitch Rorem (6-3 200). The reason I highlight them as Rugby players is because I am a firm believer in what rugby offers players at certain positions. Obviously rugby is a very aggressive sport that translates really well to the physical contact you see while playing on the OL. Nick Mitchell will have plenty of time to throw. The Wildcats are led on the D-Line by Griffin McLain, but also feature Stephen Nnabue and Sr Zack Blazevich (6-2 311). Those two clog the middle as good as any two in the state. For Issaquah Shay Dingfelder, Matt Solusod and Jacob Peterson are all three players I will be keeping an eye on during the game. I went back and forth with this one before deciding on Issaquah. Sr Eric Rauch is an absolute monster in the middle while Tyler Sheehan and Cody Lamarque are nice compliments at his side. The Eagles have one of the more underrated set of LB’s in the state. The LB coach at Issaquah is Zach Tuiasosopo… You might know that name. For Mount Si the name is Hank Van Liew. He is aggressive and VERY much under the radar. He will make plays all night. I really like what both teams offer in the secondary, but to me Mount Si is one of the best in the state. Tyler Button (5-7 145), Jimbo Davis (5-10 165), Hunter Malberg (6-1 190, No. 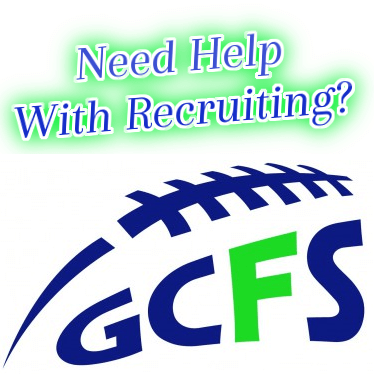 Colorado Offer) and Trent Riley (6-2 195) like to be called “The Generals”. 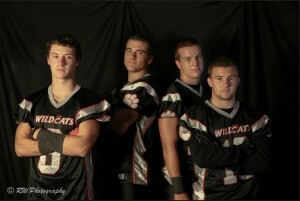 The Mount Si defense is filthy and led by these four on the back end. Jimbo Davis is a potential shutdown corner that can cover any wideout in the state. Last week this group allowed only 3 yards passing in the process of blanking a very good Kennedy Catholic team. Mount Si at home is a very tough team. Right now we have both teams in the top 10 in the state and win or lose I will probably keep both teams in my top 10. Mount Si was VERY impressive in a 30-0 win over Kennedy Catholic in week one while Issaquah had a few problems with Interlake but did win. I think the Mount Si secondary is going to have a big day and with that I predict they will win, 28-17.